WealthEngine is the leading provider of predictive marketing analytics, audience development, and wealth intelligence services. Named a Cool Vendor in Data-Driven Marketing by Gartner, marketers use WealthEngine's comprehensive insights to understand what drives consumer decisions and when best to engage them. For more than two decades, WealthEngine has provided wealth intelligence solutions to help marketing and financial services professionals create strategies to extend their reach and build their prospect pipeline. WealthEngine’s leading consumer database contains 1,500+ attributes on over 240 million US individuals. That’s nearly a half trillion data points powering its suite of products and services. This combination of great products and world-class data has positioned WealthEngine as the premier consumer wealth intelligence solution. 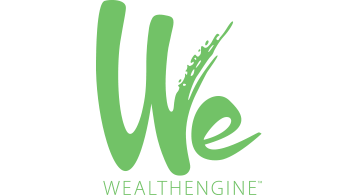 Headquartered in Bethesda, MD, WealthEngine provides clients in the United States with solutions that provide a complete picture of the people they already know, and tools to find new people they would like to get to know. WealthEngine works with luxury organizations, financial services firms, nonprofits, hospitals, institutions of higher education, political campaigns, advocacy groups of all sizes, and any other organization looking to use wealth data to enhance their efforts. WealthEngine’s primary mission is to provide their clients with consumer intelligence to achieve sales and marketing success.